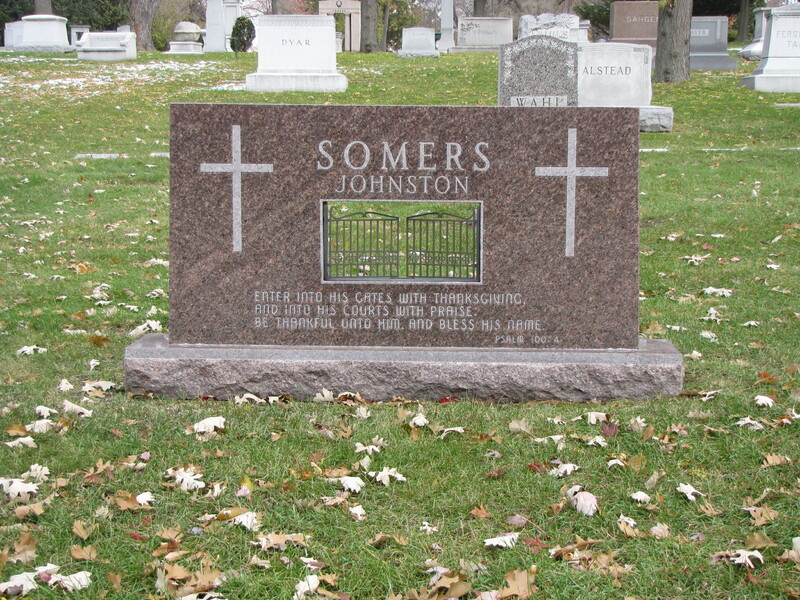 The red granite block marker above has an opening cut into it. 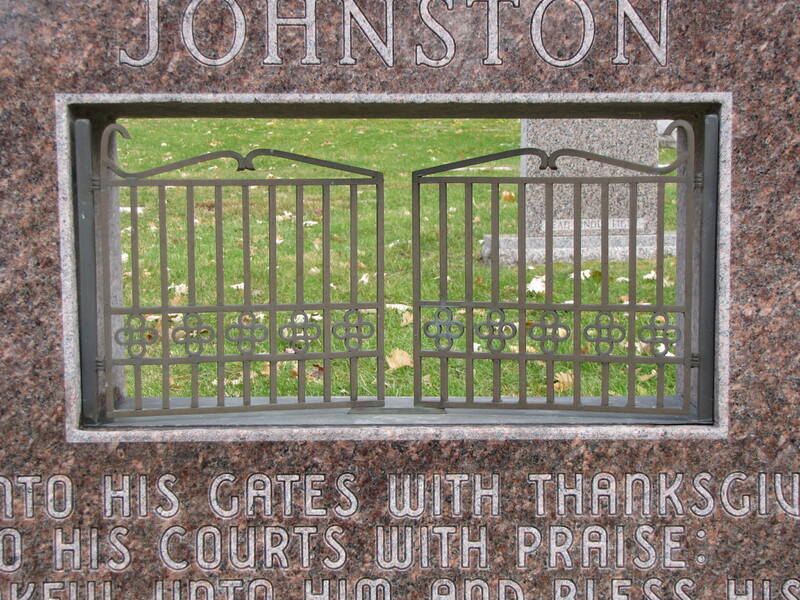 The opening has two bronze gates slightly open and set into it. 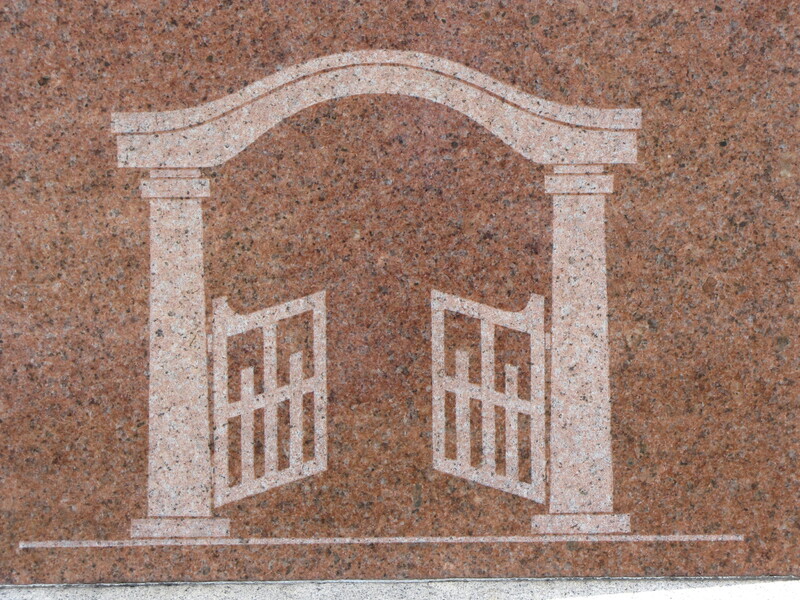 Open gates are a common symbol found in American cemeteries. 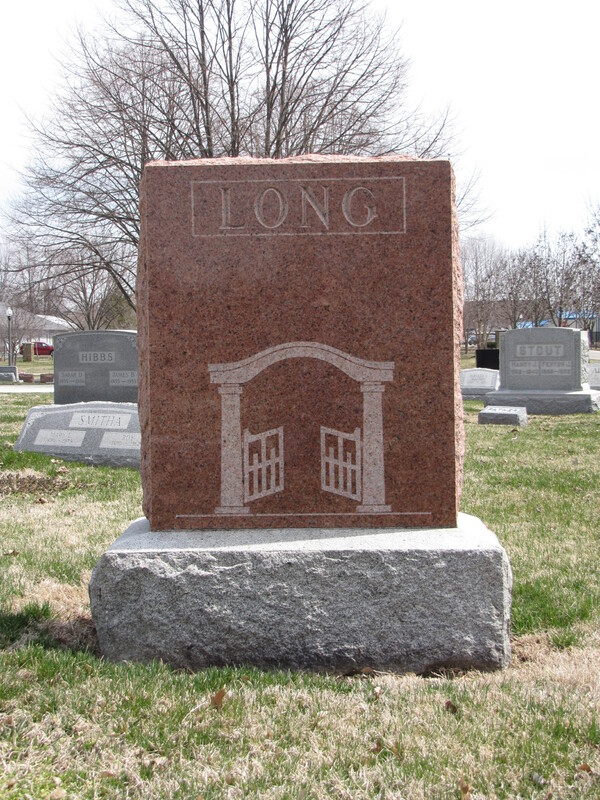 Most often the open gates symbol is found carved into a gravestone–not in 3D. The open gates, which are central to the Last Judgment, are opened to a banner above that reads “AT REST”. The gates here represent a passageway from one realm to the next. The gates are the portal for saved souls to make their passage from the Earthly realm to the Heavenly realm upon Christ’s return. I love how you walk up through one metaphor after another…one symbol after another….your entire collection would be a fascinating book on the study of metaphor and symbolism in North America’s philosophical attitudes toward death–definitely a book waiting to be published since it is already written!